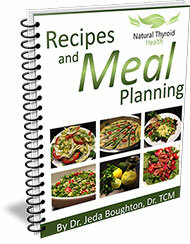 Your thyroid gland governs your metabolism, which is so much more than just fat loss. Learn where your thyroid is located, and watch a simple explanation of about how your thyroid hormones t3 (triiodothyronine) and t4 (thyroxine) operate. Your pituitary gland controls your thyroid and problems can occur that interrupt the communication between these two glands causing an imbalance. This imbalance will cause either hyperthyroidism (overactive thyroid) or hypothyroidsm (underactive thyroid). The symptoms of hyperthyroidism and hypothyroidism can be dramatically different. Watch the video below for all the details.